In 7.05.14, was held in Melbourne Australia, the award ceremony of Cabinet Makers and Designers Association, Victoria. 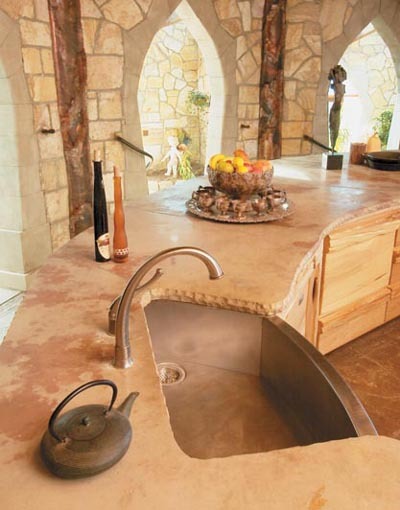 Valentin Tinc, director of Kitchen Design Academy received an overall President's Award for a kitchen above $40,000. Vincent de Cotis, born in Mantua, after studying at the Art Institute, he graduated in Architecture at the Politecnico di Milano. Since the first experience shows interest in what will become the distinguishing characteristics of the production of De Cotis as an architect, designer and stylist: highly malleable materials, recovery of pieces and vintage fabrics to bring to life through reassembly unpublished colors that blend with the matter. Two fundamental elements characterize the work of De Cotis: the large size and the signs of the passage of time. Within a contemporary vision of architecture and design, De Cotis uses material from the characteristic "material" per se, with a predilection for the recovery, for those items that retain the charm of the patina of time can affect both the color, and the appearance of the surfaces in a contemporary reinterpretation of the final result. The past has always fascinated him with its flavor, at the same time arousing a desire to speak with the new signs and personal contexts already lived if not in some cases even decadent. From these bases is also born the project created by Rossana: DC10 in burnished brass, and stone, kitchen use only freestanding volumes from the original, a "work center" that rethinks and renews the tradition. An extraordinary object of great intensity. 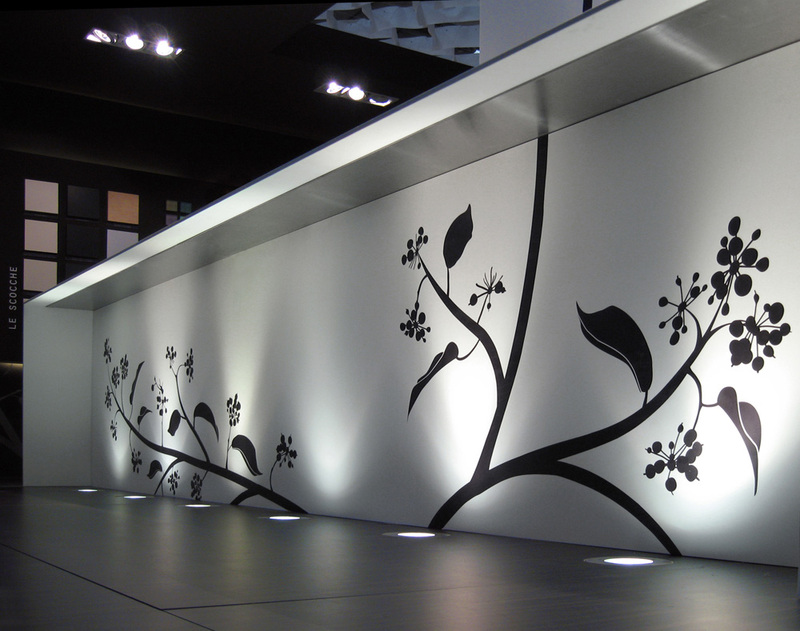 The approach to interior design is focused on the atmosphere of the space. 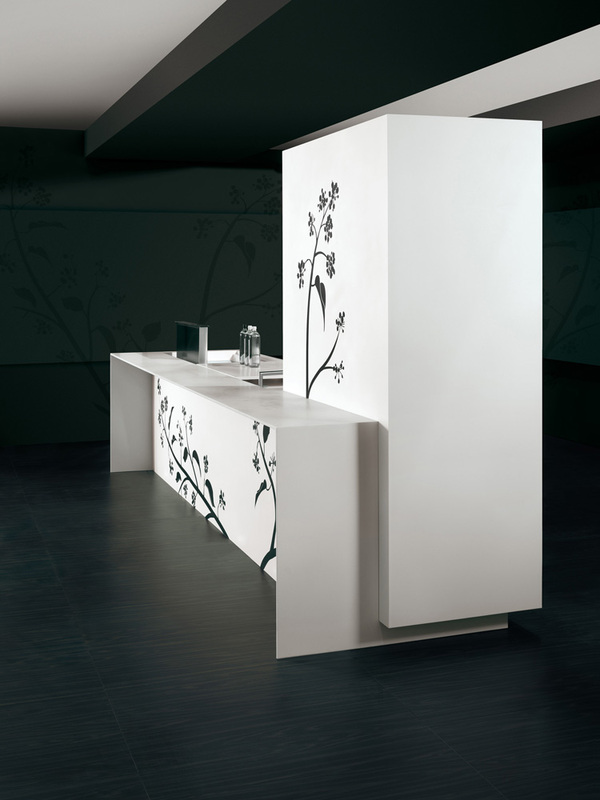 The consequent need for ad hoc furnishings and decor, comes from a kind of intuition, which is the need on the part of users to be faced with advanced non-mass-objects, with a strong personality. The deep craftsmanship that characterizes the production of Vincenzo De Cotis of spaces and furnishings, inevitably brings them closer to art for exclusivity and uniqueness. In the complex definition of the style of interior designer Vincenzo De Cotis as the concept of minimalism returns inevitably, to be understood as a contracted form almost more than a concept in itself.In the spaces treated by De Cotis prevails, however, the inclination for environments with few elements to great effect, a common thread that will characterize our age. However, this is not a bare-bones minimalism, since the decoration, intended as a real language, with its own symbolism carries a sort of attraction for De Cotis, who personally carries all objects and decorative pieces that always require interventions and manual assembly. Interior designer for STRAF Hotel Milano opened in 2004, De Cotis also signed many boutiques, such as Antonia in Milan, Folli Follie in Brescia, Vinicius in Liss, Wells're in Monza and Treviglio, Tessabit in Como, Hotel in Bologna, Sugar Arezzo , Joffre in Barcelona, ? ?the spaces "PBox" multilabel, Summit in Turin, the format of the new brand Alberta Ferretti. 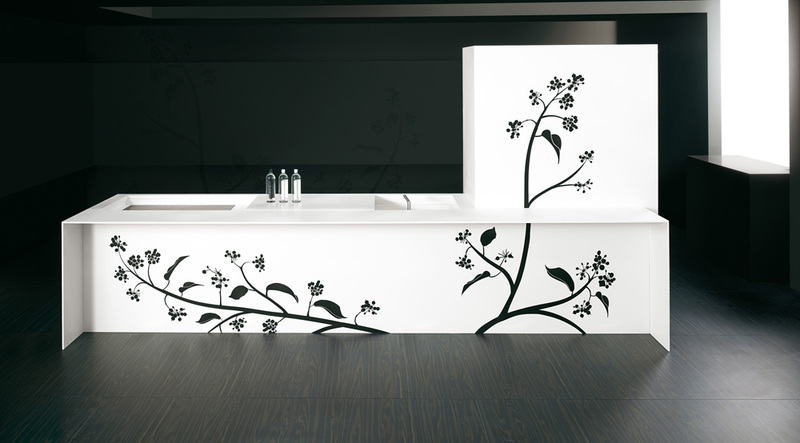 The project presented by ROSSANA is symbolic of the theme of the kitchen to come. It starts from a real project, the kitchen DC10 designed by Vincenzo De Cotis, which undergoes an internal sort of genetic mutation: DC10 part in burnished brass and glass mirrored volume becomes pure, simple silhouette that alludes metaphorically to the kitchen to come. As a nymph, the kitchen becomes more today than tomorrow remembering how the evolution of species-kitchen has already passed through mutation / contamination with the living of which it has assumed forms and guises. The art installation designed by Vincenzo De Cotis projection is "thinking about the kitchen that will be." Without giving solutions, let each, mirrored in these volumes, fantasize about cooking that more resemble in 2050. We introduce kitchens that are tailored to different lifestyles and budgets with bespoke shapes and details. We promote exceptional ideas and emotions, combining creativity, innovation, technology and 'Made in Italy' craftmanship. TM Italia is no ordinary kitchen producer. Our mission statement outlines what we have to offer: We recognise that each and every customer is an individual, with varying needs, lifestyles and preferences. We aim to reflect that in each and every design. Our Collection of exclusive tailor-made kitchens combine a dynamic mix of function, emotion, art design and quality, using precious materials and the latest in home automation. What does the future of the home hold? Flying mini-robot cleaners, expanding walls that filter the air and 3D food printers are just some of the visions in the Electrolux Design Lab competition, arranged now for the 11th consecutive year. The flying robot concept “Mab” was awarded first prize in competition finals at the Fotografiska Museum in Stockholm, Sweden. The winning concept, by Adrian Perez Zapata from Colombia, is an automated cleaning system consisting of hundreds of flying mini-robots. The robots clean surfaces by touching them with a drop of water. Mab scans the house, determine the areas to clean and sends the robots flying. “This year’s winning concept renews the idea of looking at the robot, seeing it not as one unit that mimics a person, but instead something inspired by the magical logic of nature’s collaborative efforts and group intelligence,” said Stefano Marzano, Chief Design Officer at Electrolux and Head of Jury. A major home renovation can provide plenty of scope for creativity, especially when space is not an issue. For the owners of this older bungalow, which was extended up and out, the remodelling created room for a new kitchen within a spacious family area. Designers Melanie Craig and Stacey Anderson of Melanie Craig Design say the owners love to entertain and wanted something modern and a little different. "They wanted a kitchen that spoke design, rather than a standard kitchen in the corner of the room," Craig says. "They were happy to let us explore various options and materials. The extension incorporates exposed structural steel elements, which prompted the decision to go for a slightly industrial look. "The starting point for the design was the 5mm compressed stainless steel material, which we have used in several projects. Here, we decided to wrap it around the end of the cabinets, rather like a giant rubber band. At one stage we even considered using bands of yellow rubber, but then chose to introduce colour through bright lemon accessories that can be changed out if required in the future." A dark Caesarstone island benchtop and concrete flooring reinforce the industrial look, but these elements are offset by light American oak cabinets and smooth white lacquer. "The timber warms the space visually," says the designer. "It gives the kitchen personality, and helps to ensure it interacts with the wider living area and is not too hard or clinical." As well as the asymmetry created by the banded ends of the cabinets, there is a change in levels on the rear benchtop. "Rather than having a tall oven tower like a standing soldier, we prefer to elevate ovens side-by-side at waist height – like a traditional tallboy," says Craig. "This makes the ovens much more accessible, and creates a place on top for hot dishes to rest, which keeps the cooking zone free." The designers say the kitchen is divided into a number of zones. "We like to work with a working star rather than the traditional work triangle," says Craig. "There are separate zones for food preparation, cooking, cleaning and storage. Everything is right where it is needed, and drawers are customised for cutlery, utensils, oils and spices." The design team placed the refrigerator near the door in the scullery, where it can be accessed by the family without entering the main kitchen. The scullery itself is large enough to be a separate food prep and cleanup area, making it easy for several people to work. At their annual meeting in June 2013, the Association of European Producers of Laminate Flooring (EPLF) discussed the global laminate market noting that, in their estimation, China recently overtook Germany as the largest single manufacturer of laminate flooring in the world. EPLF estimate that of total global production of around 870 million m2 in 2012, China contributed 243 million m3 (28%) and Germany 234 million m2 (27%). However taken together, the 22 member companies of the EPLF (all located in Europe including Turkey) accounted for 460 million m2 in 2012, 53% of global production (Chart I). EPLF data shows that sales of laminated flooring by EPLF members fell sharply during 2011 and 2012 (Table). During these years, low and declining sales in Europe and North America were only been partially offset by increased sales to Turkey, Latin America, Asia and Russia. During the first quarter of 2013, overall global sales by EPLF members stabilised at the lower level achieved in 2012. This year sales have continued to decline in Germany, France, the UK, the Netherlands, Spain, Austria, and the USA. However rising sales in Sweden, Italy, Latin America and Asia have been just sufficient to offset weak markets elsewhere. 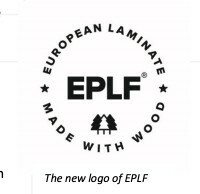 In 2012, for the first time, EPLF members also provided sales figures by product thickness. Around 45% of all EPLF laminate flooring sales were products with a thickness of less than 7.5mm, around 45% were 8mm to 9mm thick and the remaining 10% had thickness in excess of 10 mm. Products 8mm to 9mm thick are the biggest sellers in Eastern Europe and Turkey. In Western Europe, and Germany in particular, customers prefer products which are thinner than 7.5mm. “It is with some concern that the EPLF is seeing the Russian laminate flooring market being flooded with mass produced Chinese goods, which also do not meet high European standards. There is a risk that these products will damage the reputation of laminate flooring amongst Russian customers. The EPLF has therefore decided to initiate a quality campaign to raise awareness of the high-quality products of European manufacturers and to distance itself from inferior cheap products”. The statement goes on to claim that European laminate flooring products “are environmentally-friendly, high-tech products, manufactured in a sustainable manner. In other words, they are gentle on resources and socially responsible. European quality is synonymous with long-lasting floors, innovative products for enhanced interior comfort, leading design for versatility and individuality, good value for money and, importantly, ecologically-sound products which guarantee safety for customers and their families”.